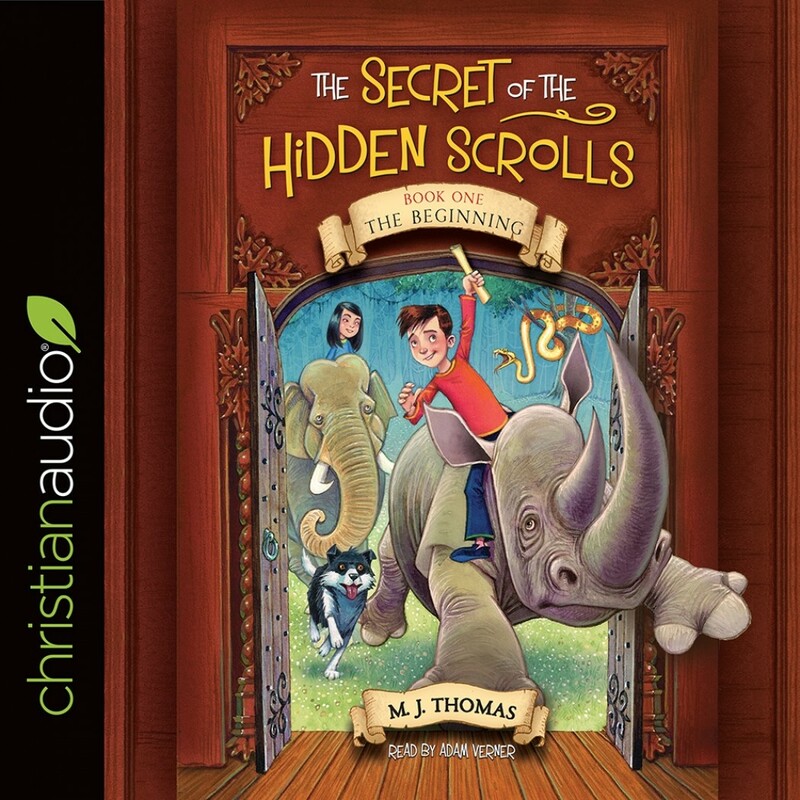 The Beginning | M. J. Thomas | Audiobook Download - Christian audiobooks. Try us free. A mysterious scroll transports a brother and sister back to the time of God's creation of the world in this chapter book for emerging readers. In the first adventure in the series, Peter and Mary find themselves witnesses to the creation of the world just as God is speaking it into existence. Can they unlock the mystery of the scrolls before they get trapped in history forever? Children will discover the answer as the two characters ride rhinos, meet the angel Michael, and talk to a certain snake in the Garden of Eden. Riveting text and engaging illustrations bring this beloved Bible story to riotous life. Ages 6-9.